Need a ride? Take a zTrip. Finally, the perfect hybrid between rideshare and taxi! •	You can now have it all! 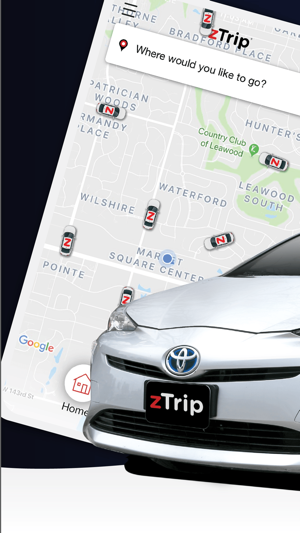 zTrip makes getting a ride easy. No more chasing your driver down the street or waving your phone in the air. You can always order a ride through the app. But when we’re right outside, just hop in. 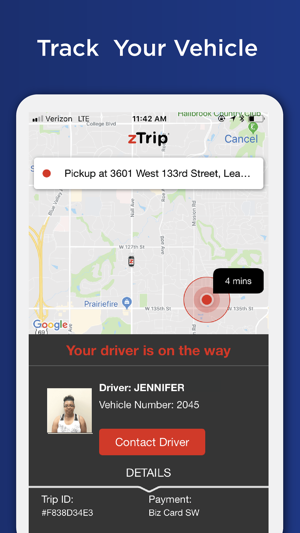 Join a community of hundreds of thousands of riders and drivers across the country, who have decided to zTrip for a safer, more consistent and reliable choice for transportation. 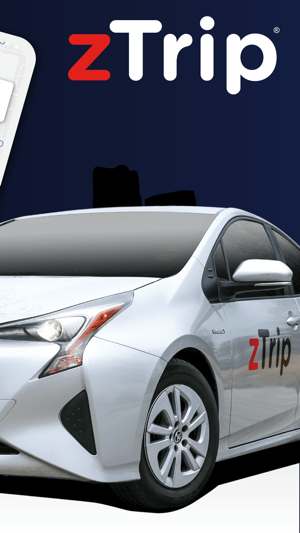 Download the zTrip app today and let’s ride. 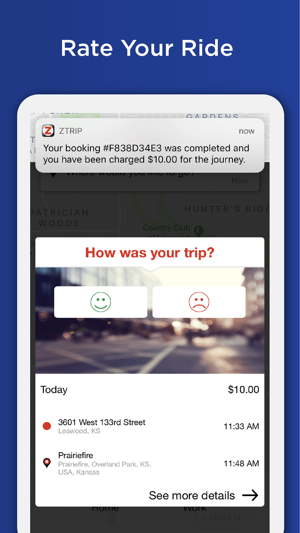 By downloading the zTrip app, you agree to: 1. Receive communications from zTrip, including push notifications. 2. Allow zTrip to collect your device’s language settings. You can opt out of receiving push notifications through your device settings. 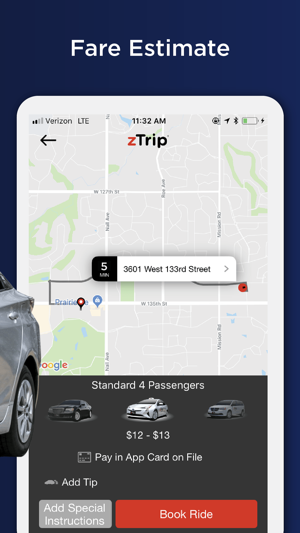 Enjoy the totally new zTrip app. We’ve filled it with a bunch of goodies. Check it out. Today I ordered a cab at 2:17pm. By 2:50, they were still searching for a ride, so I cancelled it. I then called the cab company to make sure the ride was cancelled. I ended up having to call a lyft to get to my destination (wasn’t a long trip, just had to get my son from school can come back home) At 3:38pm I get a phone call from a cab driver telling me he was outside. I let him know that I called at 2:17 and cancelled the cab via app and phone call at 2:50 because the wait was way too long. He got extremely upset with me and I had to explain that I cancelled the ride and him responding to a ride at 3:38 that was hailed at 2:17 is not okay. I also said I understand if the message got crossed but that was no reason to get upset with me. 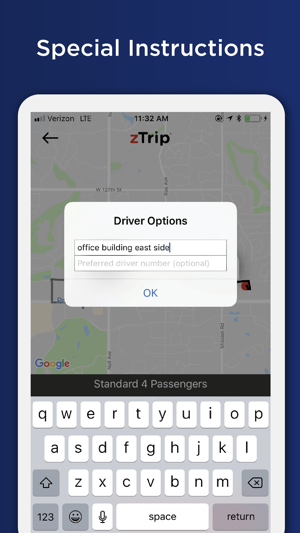 ZTrip has to build a better interface with its cab companies. Customers are having to wait extremely long wait times, drivers aren’t being notified of cancellations and therefore missing out on money. First the app updates are infuriating. This app is no longer easy to use. I used to be able to schedule a later ride no matter what city I was in for an airport pickup. Now when I log in from another city, it tells me that zTrip isn’t available for picking me up here. I don’t want picked up here. I want picked up at the airport when I land. Although I’m not sure it matters. I scheduled a premium later ride to take me to the airport. I received an email saying that a later ride wasn’t guaranteed, but if there were an issue, I would be notified in the app. I got a ride number. No info in the app that it wasn’t confirmed, but my ride never showed up. When I called, they couldn’t find my reservation under that number. Looks like I’ll be finding another car service. Since Uber is just a taxi service, it’s nice to see some competition. I used this service once and was pleased with the driver and the ride. I have since deleted the app because there’s no zTrip in my area. When I returned to the same location I had previously used it and reinstalled it, I could not remember my login. The formatting of the app makes it so I am not able to touch the forgot my password link so the app is now unusable to me. I can’t sign up for a new account either because my phone number is already associated with an account. Keep working on it guys!